Save yourself time and money with our prepackaged meat freezer packs. 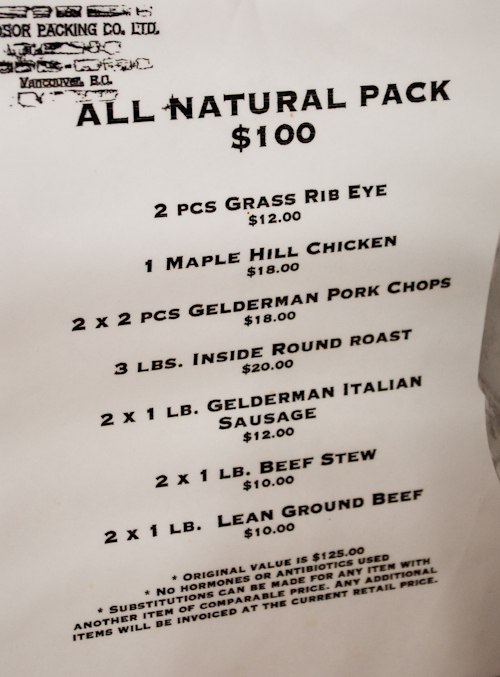 Packs contain an assortment of choice cuts like steaks, tenderloin, ribs, shoulder, chicken and pork cuts as well. You can even make subsitutions. Choose from our All Natural Pack which is organic and hormone free, our Freezer Pack with a wider selection of meats or the BBQ Pack, a monster pack of ribs, steaks, sausages, chicken and skewers. Get ready for the BBQ meat sweats.